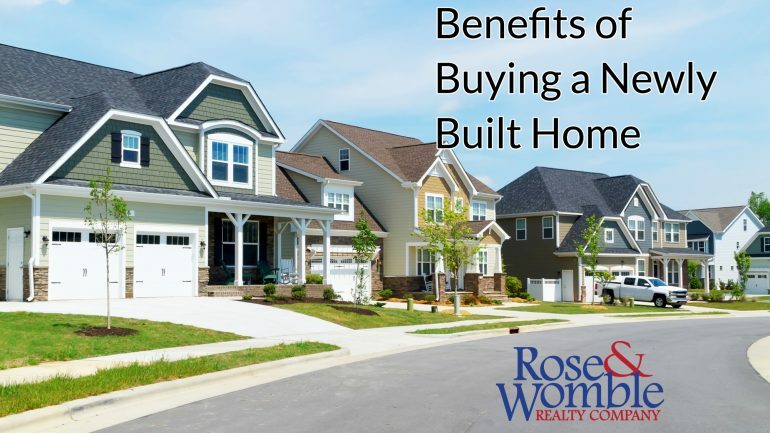 Benefits of Buying a Newly Built Home - Rose & Womble Realty Co.
Buying a home is an exciting, yet complicated process. As a homebuyer, you will make countless decisions about what you want—and don’t want—in your dream house. One decision you will make is the age of your house. 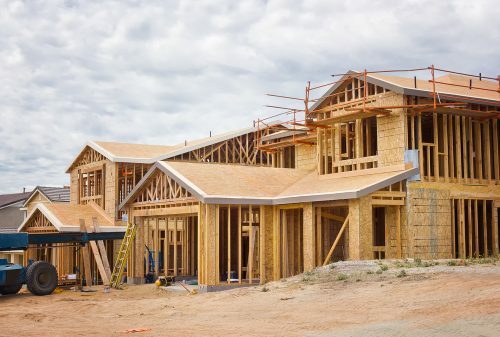 Although no one can make that choice for you, here are some reasons why many homebuyers choose to buy a newly built home. Customizable. Many builders work directly with homebuyers to customize the entire house to the buyer’s specific taste. Imagine moving into a home that has everything on your checklist, and nothing on your “to do” list. When it comes time to move into your new home, you won’t have to worry about making costly repairs or upgrades, giving you more time to enjoy your new home and love where you live. Modern floor plan. Even if you don’t get the chance to customize your home, a newly constructed home will feature the layout that the majority of today’s homebuyers demand: an open floor plan, eat-in kitchen, granite countertops, walk-in closets, large master bath, and plenty of storage space. Chances are your newly built home will also have larger bed- and bathrooms with tons of natural light. Energy Efficient. Most newer homes are constructed to be more energy efficient with a tighter-sealed building envelope. Cool and heated air is prevented from escaping due to high-efficiency insulation, doors and windows. Newer homes also include energy efficient appliances that help to reduce utility costs for homeowners. These green appliances include high-efficiency stoves, refrigerators, washing machines, water heaters, furnaces and air conditioning units. Low maintenance. A new home will have fewer repairs and less maintenance. When you buy a new home, you won’t need to spend money replacing outdated carpets, repainting walls, fixing plumping or purchasing new appliances. Less home maintenance will be required because today’s new homes are engineered to minimize maintenance. In many cases, builders agree to a warranty on the house, placing the responsibility for repairs on the builder until the warranty expires. Safety and technology features. You will spend less time worrying about safety issues in the home, thanks to new safety features such as fire retardant carpets, high-tech alarm systems, state-of-the-art circuit breakers, and electric garage doors with motion sensors. Today’s construction companies will use low- and zero volatile organic compounds within the house, greatly reducing the chance of toxic vapors. Other technological benefits within newly built homes include built-in speaker systems, built-in internet and cable wiring, and built-in entertainment systems. With top-of-the-line technologies, minimal maintenance, and modern layouts with tons of entertaining space, you’re newly built home will be the envy of your friends and family. Best of all—you’ll love where you live, from the very moment you purchase your new home. If you’re interested in learning more about new construction or homes available now please call our New Homes Specialist Jessica at 757-774-6999. DIY Projects for your pets to enjoy!